Good morning girls! How is your day going - lets ignore the weather, I've given up for hoping for sunshine! 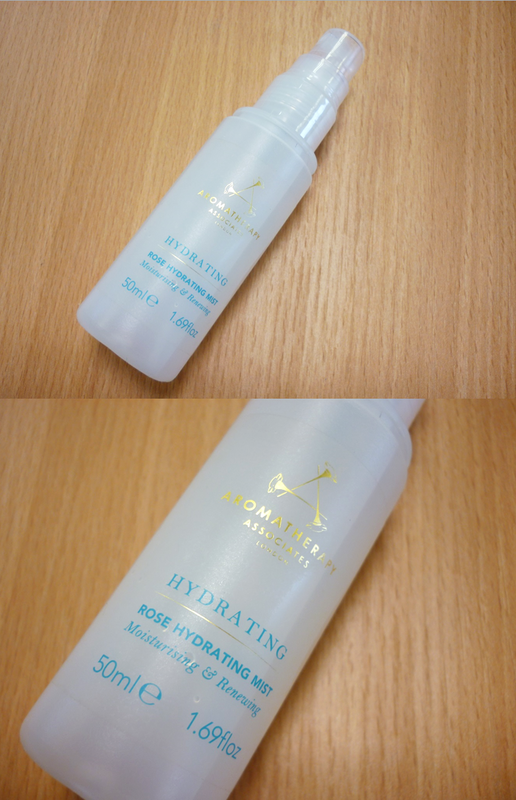 I'm diving straight into our review for today, I was lucky enough to be sent the Rose Hydrating Mist* by Aromatherapy Associates - now as you know, they are a huge brand in the beauty industry and there products are very luxurious, so I was very excited to try this mist out! As you all know, I will be going on holiday next week (eeep!) so I've been hunting around for relevant beauty products that are perfect for the beach and warm weather! This Rose Hydrating Mist is perfect for keeping you cool when you're relaxing by the pool, it smells gorgeous and it really does keep your face refreshed without being sticky or smelling too strong. It sprays out a very fine mist, so again, it releases the right amount of product.